At www.generalinsurance.es/death-insurance.html we offer you the best Death insurance through Correduría de Seguros Proyectos y Seguros comparing the best Death insurance offers among the leading insurance companies in Spain. This way your Death can be contracted at the best price on the Spanish market. Now calculate the price of your Death insurance quickly and easily, contract the best Death insurance thanks to General Insurance Group in Spain. If you want a Death insurance specialist to call you by phone, you can click on the request call button, insert your name, phone number, email and Death insurance, in a few minutes a Death insurance consultant will contact you by phone to offer you a personalized budget adapted to your needs. At www.generalinsurance.es/death-insurance.html we offer you the best Death insurance, we compare Death insurance prices of leading insurance companies in Spain to offer our customers the cheapest and most complete Death insurance. The section www.generalinsurance.es/death-insurance.html specializes in finding and comparing the best Death insurance for our customers. Through www.generalinsurance.es we offer the possibility of contracting the best Death insurance in Spain for English speakers, with a customer service in English. If you want more information about the Death insurance you can contact the commercial department by calling 91 756 71 08 from Monday to Friday from 9:00 a.m. to 10:00 p.m. and Saturdays from 9:00 a.m. to 3:00 p.m. in Death insurance will solve your doubts free of charge. This insurance is intended for the whole family, companies, professional groups and other groups that seek to insure themselves or their workers. This type of insurance offers a range of coverages that are related to management and funeral expenses, death assistance services and family assistance. You can choose the insurance that suits your economic situation intended for this item, you can agree on premiums for your payment to this insurance. - Permanent and personalized assistance, has 24 hours calls and services. 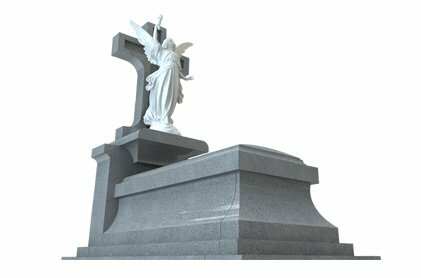 - Includes management and burial expenses, duel management. - Domestic and foreign transfers. - Psychological assistance, for each insured who needs it. - Advice on succession management. - Assistance in travel, so that you feel protected when you decide to leave and travel. - Repatriation; From anywhere in the world to Spain or vice versa. - Legal and legal assistance. Includes advice to its policyholders. - From the moment of the insurance contract you have the benefits. - Includes the processing of the will. - Older people have all of their benefits. Family Dues: The family will be totally protected, having all the necessary services. Whether they are in the Spanish territory or that they are in any part of the world. It guarantees funeral services, legal advice, compensation for death of accident. Foreign Dues: Assists foreigners residing in Spain as well as Spaniards residing anywhere in the world. Includes transportation and company of the deceased to his country of origin. Assists in deaths by accident, permanent disability, reimbursement for expenses of surgical interventions among others. Natural Premium: This premium is updated annually from the insured s 35/40 years, upwards during each new insurance renewal. Semi-natural premium: This premium tends to be updated every 2/5 years according to the insured s age and will tend to increase in price at each renewal. Level bonus: This premium is constant and is only updated with the natural increase of burial cost over the years.